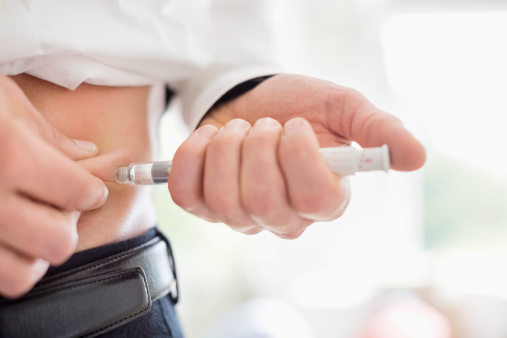 The charity’s State of the Nation report reveals that in 2014-2015 only 2% of people newly diagnosed with Type 1 diabetes and 6% of people newly diagnosed with Type 2 diabetes in England and Wales were recorded as attending a diabetes education course, which teaches how to effectively manage their condition. Diabetes UK says the figures are a huge cause for concern, as diabetes that is poorly managed increases people’s risk of debilitating and life-threatening diabetes complications such as heart attack, amputation and stroke. As well as being personally devastating, these complications are extremely costly to the NHS. The NHS spends £10 billion every year on diabetes, which equates to 10% of its entire budget. The report also finds that just 41% of people with Type 2 diabetes and 19% of people with Type 1 diabetes in England and Wales are meeting their targets for blood pressure, blood glucose and cholesterol, which are essential in keeping themselves well and reducing the risk of complications. Diabetes UK say the figures highlight that there is a real need to ensure people with diabetes have access to education courses. Diabetes UK is calling for improvements to the delivery of diabetes education courses so that at least half of people with diabetes receive education over the next five years. This will help ensure that everyone living with diabetes has the skills and confidence to manage their condition effectively and so reduce their risk of serious complications. The charity has welcomed NHS England’s new ratings system which will see Clinical Commissioning Groups (CCGs), the local bodies responsible for managing health in their areas, being assessed on the numbers of diabetes patients achieving recommended treatment targets and the numbers of people newly diagnosed with diabetes attending an education course. Chris Askew, Diabetes UK Chief Executive, said: “Diabetes is a very serious and complex health condition that requires constant self-management. This can be extremely overwhelming, yet people with diabetes may only see their GPs and nurses a few times year, and if they fail to manage their diabetes effectively the results can be devastating. “This is why it is essential that everyone with diabetes has a chance to learn about how to manage their condition well. In some areas thousands of people with diabetes have attended education courses that give them the confidence and skills to take control of their condition. They can be life-saving. So it is galling that in most places these courses have reached a fraction of those who could benefit. “The new NHS ratings system for diabetes will help to drive improvements and reduce variation in access to education so it is essential that health leaders give it full priority.